Looking for a genuine yet relaxing Mexican vacation? Located along the Sea of Cortez, La Paz offers a tranquil setting for anyone looking to kick back and relax. In Spanish La Paz means “peace”, the perfect description for this peaceful city. Unlike other well-known destinations in Mexico, La Paz is not a massive beach resort area. It embraces an authentic small town feel while still presenting the fun in the sun amenities tourists enjoy. Fly into Manuel Márquez de León International Airport (IATA: LAP, ICAO: MMLP) and let your worries fade away. 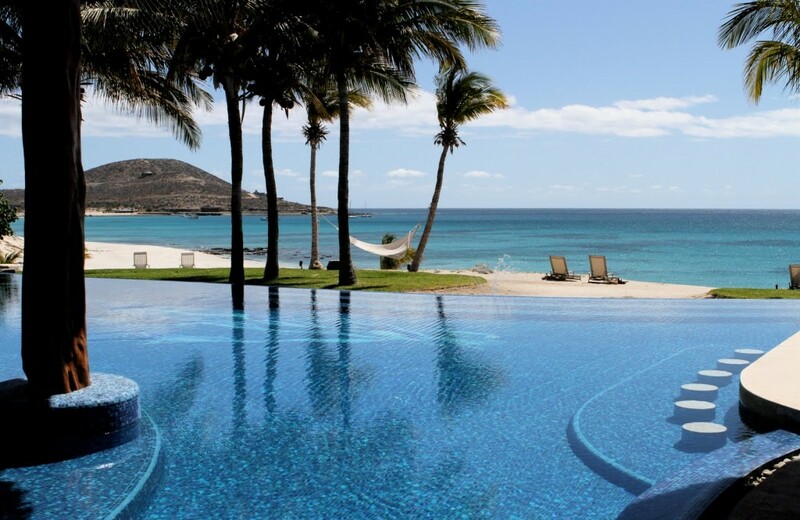 Treat yourself to a whole new experience at the highly recommend luxury resort of GranSueno. Beachfront suites and villas lead right out to the sand. Relax and unwind in the provided lounge chairs with a complimentary towel service, lunch, and full bar right at your fingertips. Venture out onto the water in a yacht charter or ride the arena of GranSueno’s famous equestrian center. Come and leave the world behind and experience La Paz GranSueno style. Set sail in the Sea of Cortex. Relax on the white sand beaches with your toes in the sand. Swim with the dolphins or be adventurous and dive with the hammerhead sharks and mantas. Cast a line deep sea fishing and reel in a marlin. Next, take a ride over to Espiritu Santo, a sanctuary of lovely bays teeming with marine life. This protected area is home to a wide variety of birds, reptiles, and amphibians. If you’re lucky you may even catch a glimpse of the migrating whales. When you’re ready to move inland, head on over to the Regional Anthropology and History Museum. View fossils and engraved rocks that show La Paz’s evolution. In addition, rent an ATV and discover the ancient cave paintings and fascinating rock formations of the past. Next, head on over to Paseo Alvaro Obregon a coastal promenade full of vendors, fisherman, and friendly La Paz residents. After a busy day, try the fresh catch of the day at a local restaurant or fine dining establishment. This remarkable community has every fare imaginable, so if seafood is not your thing try an authentic Mexican dish. Ready to put a stamp on your own personal La Paz adventure? Call us today to schedule your next charter flight at (760) 399-1000 or email us at charter@desertjet.com, where a charter specialist will be happy to assist you in arranging all your travel accommodations. Let Desert Jet take you there.